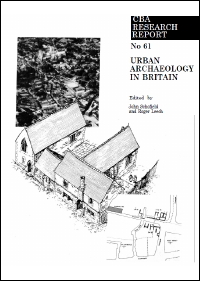 What are the main achievements in the topic addressed, and what were the research questions remaining; what do we wish to know, and how can archaeological excavation provide the answers? Are there approved, or disapproved, methods of excavation or investigation which have become apparent? How should resources be spread between towns to get the best kind of information?